MGSV: GZ gives core fans the opportunity to get a taste of the world-class production’s unparalleled visual presentation and gameplay before the release of the main game. The critically acclaimed Metal Gear Solid franchise has entertained fans for decades and revolutionized the gaming industry. This is the experience that core gamers have been waiting for. 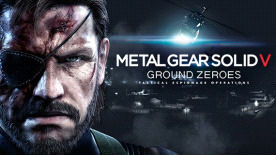 THE POWER OF FOX ENGINE – Ground Zeroes showcases stunning FOX Engine, a true next-generation game engine which revolutionizes the Metal Gear Solid experience.